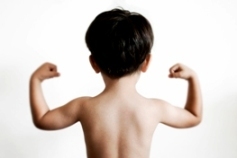 We see children who have problems with tone or tension in their muscles. Your team includes developmental pediatricians, a nurse clinician, and physiotherapists. Please arrive 10-15 min prior to your appointment to register at reception. Appointments usually take 90 minutes. Please bring a list of your child's medications with you as well as their usual stroller, seating system or wheelchair. You and your child will be seen by a physician and a nurse to talk about your child and the concerns you have. They will do a history and an exam to feel your child's muscle tone. This doesn't hurt and only involves moving your child's arms, legs and body. We will talk about the ideas we have to help your child with their muscle tone and send you home with a plan which may include; therapy, referrals to other physicians, medication and follow up. ????? ?You need a referral from a doctor or specialist to use this service.???? ?